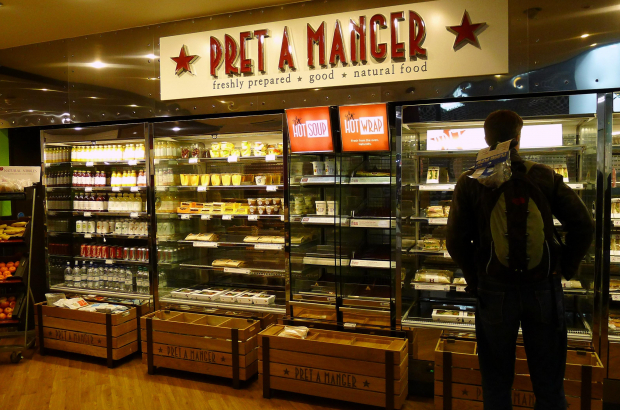 British sandwich chain Prêt à Manger is coming to Brussels this summer - with the first two outlets planned for Midi and Central stations. The brand, which has 530 points of sale in nine countries, has confirmed it is "studying development opportunities in Brussels". Sources told L'Echo newspaper that the first openings were planned for the beginning of August. Prêt was created by two British students in 1986 who wanted to offer fresh and healthy lunch options as an alternative to traditional fast food. The Belgian stores will be operated as a franchise by SSP, which has about 40 outlets in the country under the Panos, Coffee Club and Deliway brands. Prêt is the latest foreign entrant in Brussels' food-to-go market, after the recent arrival of Burger King and the imminent opening of Kentucky Fried Chicken.